Happy New Year to everyone who isn’t a Gregorian calendar denier, which is apparently not a thing (see Note 1). Because 1 January is generally a very low readership day for websites, probably as a result of excessive imbibing of ethanol based beverages, the Skeptical Raptor thought that a 2017 top 10 list for the website would be fascinating. Or something. So time to take a look at what we wrote about in 2017 (mostly vaccines), what were the most read articles, and anything else that seems interesting about 2017 and the Skeptical Raptor. And it’s Day 3,747 without receiving a single check, bar of gold, Bitcoin or unmarked dollars from Big Pharma. This is unacceptable, unethical behavior on their part. I get a lot of email about this blog. Most of it is nice, many asking questions or recommending future topics. I do enjoy the recommendations, because it sometimes leads to some interesting areas of research. Occasionally, I get critical emails, some civil, and some not quite as civil. And I got one of those emails, with interesting and not very creative ad hominem attacks – really could some of you do better than this? Presented herewith is an online discussion with someone about the science of the earth’s moon. Or, pseudoscience. Skeptical Raptor: The moon is a large, rocky body that orbits the earth. It is approximately 4.4 billion years old. 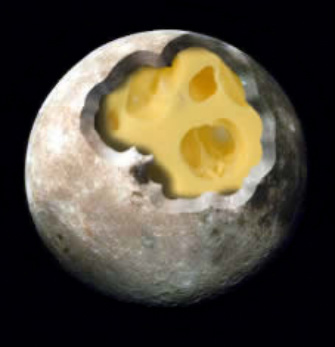 Moon Denier Society: The moon is made of cheese. That is the truth. SR: The moon is not made of cheese. NASA landed on the moon and brought back rocks. MDS: The moon is made of cheese. NASA faked the moon landings, everyone knows that. Those are just earth rocks. SR: The moon is not made of cheese. We have evidence of the moon landings. And moon rocks differ so much from earth rocks, you couldn’t just exchange some rocks found on the ground with moon rocks. And they found no evidence of cheese anywhere. Occasionally, I receive thinly veiled questions about my integrity and ethics in the comments of various posts, in emails, or on social networking sites. 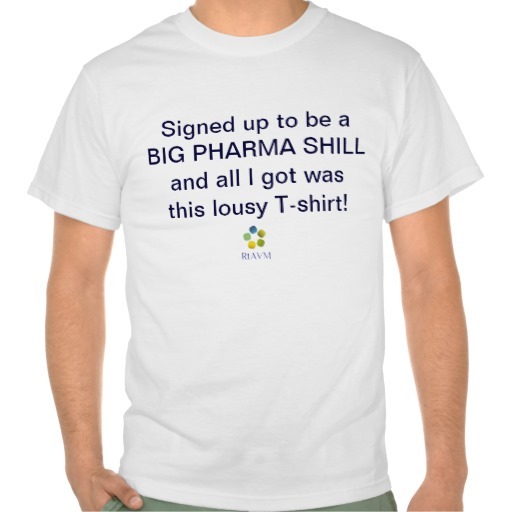 Mostly, I laugh about them since they are a form of Ad hominem argument, called the Big Pharma Shill Gambit, where one side of an argument tries to dismiss the scientific evidence of another side by accusing them of being a paid mouthpiece for pharmaceutical companies. My response is generally to state that I am “polishing the gold bars stored in the basements of Big Pharma offices,” and I don’t get paid very much to do that–it’s just about the only answer worthy of the stupidity of these accusations. The problem with actually trying to dismiss these accusations is that it’s nearly impossible to dismiss the accusations with evidence, because as we know, proving the negative is almost impossible. 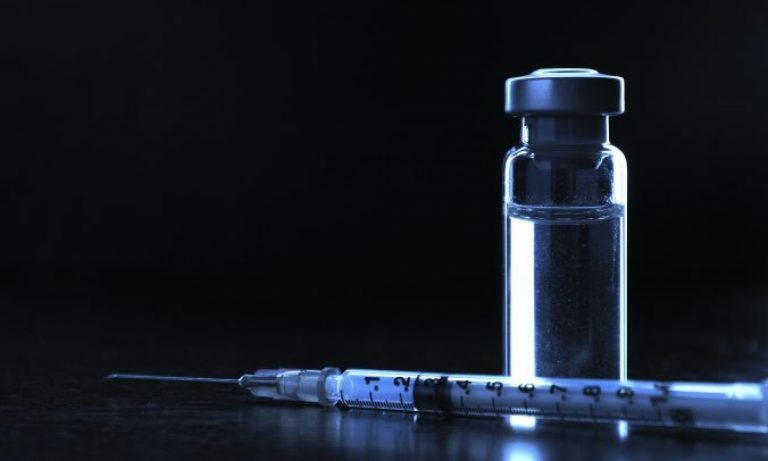 I could post my investment documents, and you will see that I own many shares of stock and mutual funds that invest in biotechnology and pharmaceuticals. Companies I might discuss might make up 0.1% of the holdings of the mutual fund, which means I own around 0.000000001% of a single Big Pharma company. Now, I am certainly not arrogant enough to believe that what I write has any effect on some company’s stock price, but if it did, I reap the rewards of ½¢. Woo hoo.